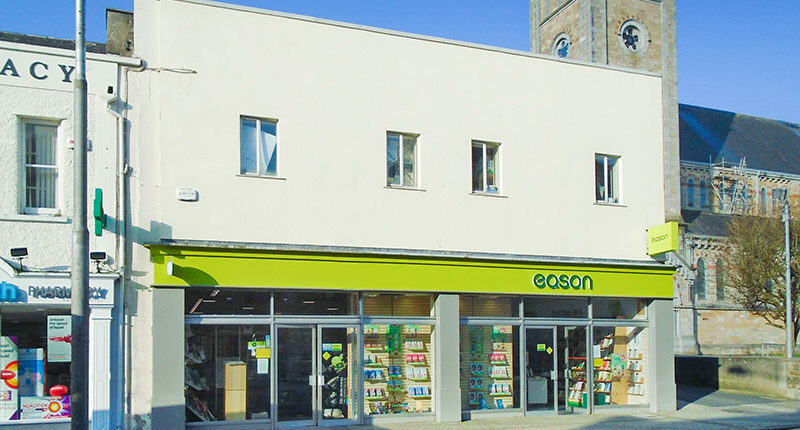 Stationery and book seller Eason has launched sale and leaseback deals for three stores which it owns in Limerick City, Tralee, Co Kerry and Clonmel, Co Tipperary. The launch provides an opportunity to compare the returns which regional high streets can offer to investors. For instance with these three properties the net initial yields will range between 7.5% and 11.5%. The Limerick building is a mid-terraced property extending to 12,573 sq ft of which 9,461 sq ft is devoted to retail. Agents Bannon are guiding €2.2m for the property and offering a 25 year lease at an annual rent of €180,000. This equates to a net initial yield of 7.5%. Set on a 0.1 acre site, the Limerick building ranges in height from a four storey over basement on O’Connell Street to ground and first floor on Cruises St. The basement extends under adjoining properties at 10 O’Connell Street and 1, 2 and 3 William Street. Eason’s Tralee store at 25 The Mall, is on a prime stretch directly adjacent to Penney’s. Joint agents Bannon and Walsh O’Sullivan are seeking €1.23m and with an annual market rent of €120,000, they say this equates to an immediate return of 9% after standard acquisition costs are deducted. The four-storey building extends to a net internal area of 6,483 sq ft incorporating a large retail area of 3,948 sq ft. 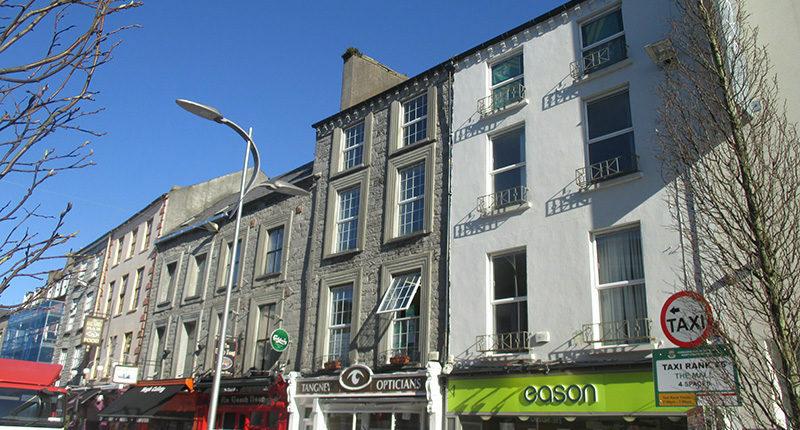 The Clonmel store is located at 19/20 Gladstone Street, in the main commercial area of the town centre. Joint agents Bannon and Moynihan Curran are asking €560,000 and with an annual rent of €70,000 this equates to a net initial yield of 11.5%. Most of the lease terms are similar for all three stores with new leases for 25 years, five yearly open market rent reviews and a break option at the end of year 10. These sales are part of Eason’s plan to sell 13 properties in the Republic which could generate €60m of which about €20 million would be invested in its retail business. 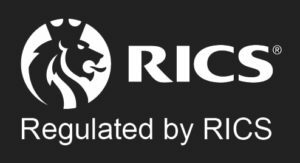 The rest of the proceeds will be divided among its 220 shareholders. 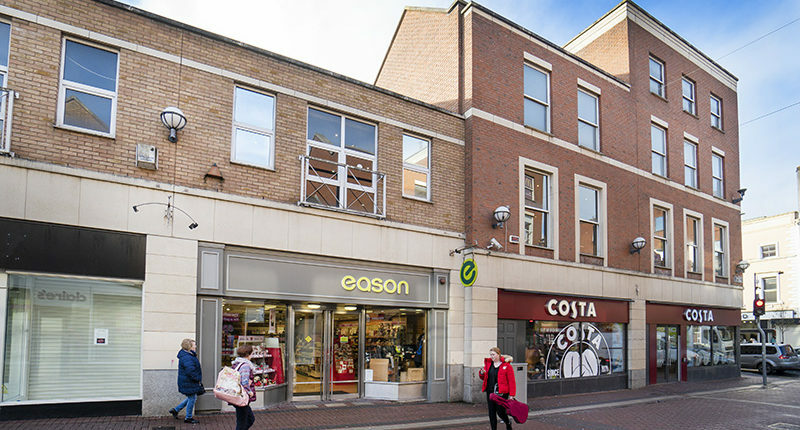 It has already sold a retail outlet in Carlow town which it had let to another retailer and in January Eason agreed a deal to sell its 184,886 sq ft warehouse on 8.4 acres at St Margaret’s in north Dublin to Irish property fund Iput for €19m. Sale and lease back deals are also among the options being considered for its flagship store on O’Connell Street in Dublin as well as its store on Patrick St in Cork city centre but the future timing and details of those have not yet been decided. 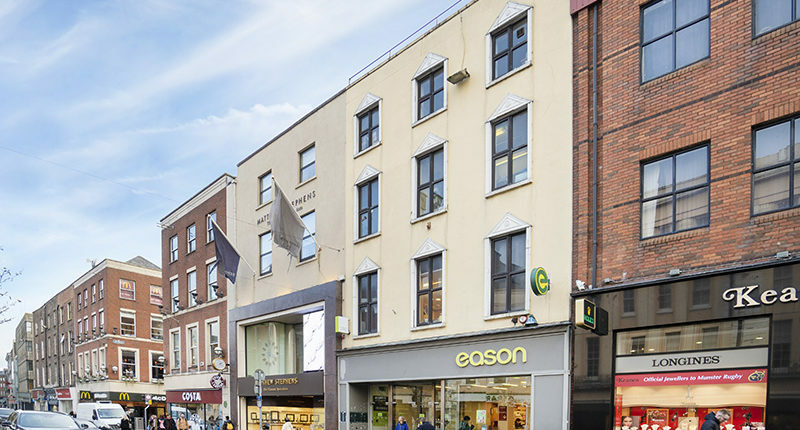 Last month Bannon launched a sale and lease back on Eason’s 11,200 sq ft store at 33 Shop St, Galway City with an €8m guide price. 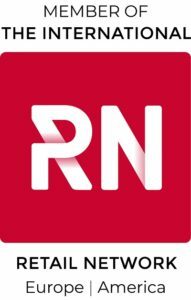 Its annual rent of €525,000 would equate to a net 6% initial yield. Contact our Capital Market’s Team today on 01 6477900 for more information.